Nick Hawker performs as St Nicolas himself in our forthcoming concert on Saturday 25 November at St Matthias’ Church, Wellswood, Torquay. In addition, he will perform in the beautiful Bach Cantata, ‘Sleepers, Wake!’ – a treat to look forward to. edited manuscripts linked with the composition of Elgar’s The Apostles which have now been published by the Elgar Society. Nicholas Hawker is increasingly in demand as a soloist throughout the South West and further afield. 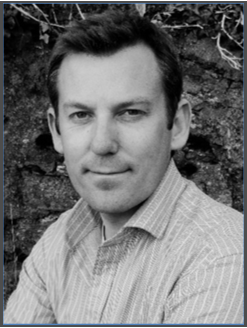 In 2003 Nicholas moved to Truro, Cornwall to take up a choral scholarship with Truro Cathedral Choir. As a lay vicar in Truro Cathedral Choir he has toured throughout Europe, made numerous recordings on the Regent and Lammas record labels and appeared as a soloist on BBC radio and television. He previously sang with the choir of Birmingham Cathedral and has recently performed, recorded and toured with the Choir of St John’s College, Cambridge. Nicholas’ recital repertoire includes the song-cycles Britten’s Winter Words, Schubert’s Winterresie and Schumann’s Dichterliebe as well as other songs by Britten, Vaughan Williams, Finzi, Quilter, Gurney, Elgar, Ireland, Schubert and Schumann. In opera Nicholas has appeared with Birmingham Festival Opera in Shostakovich Moskva Cheremushki and with Duchy Opera in Puccini Madame Butterfly and Mozart The Magic Flute. In 2009 he appeared with Duchy Opera in the premiere of Paul Drayton’s The Hanging Oak. To hear Nick sing join us on Saturday 25 November at the earlier time of 7pm. Tickets are available priced £12 for the concert with a separate ticket of £4.00 for the finger buffet. As usual children and students under 19 are welcome to the concert free of charge but will require a finger buffet ticket at £4.00. Tickets can be obtained from Choir Members, online and of course, on the door. Please note that because we have to cater we are asking people to book tickets no later than Saturday 18 November. There may possibly be extra buffet tickets available on the night but first come, first served as they say. This entry was posted in 20th Century British, Bach, Britten, Choral, Paignton, torquay and tagged #sdchoirchristmas, Bach, Brittten, Christmas, Handel, St Nicolas.